The handbook is dedicated to the period of wars and revolutions throughout the years 1914—1921. The Bolshevik takeover and the revolutionary way out of war for decades determined the development of the country. 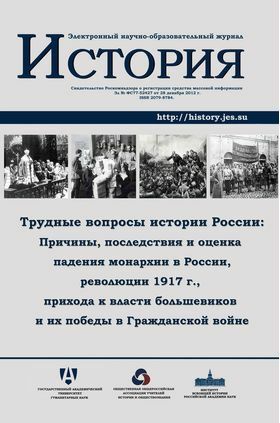 The Russian Revolution and the establishment of Soviet power, being direct results of the World War I, reinforced the inevitability of reforms in Europe. The second part of the handbook contains summarizing methodical tasks and plans of traditional and problematic lessons.